Going to be beastly hot these days. I look forward to Sunday when it is supposed to cool off about 10 degrees. I'm not sure what the issue is, if its this heat or what but there are just no butterflies around this summer except for the very small ones and not really that many of those either. I even planted more things they would enjoy this year but so far they are not coming and makes me very sad. I love butterflies. I went to the Nature Center at Milford Lake this past Saturday so I could see some butterflies. 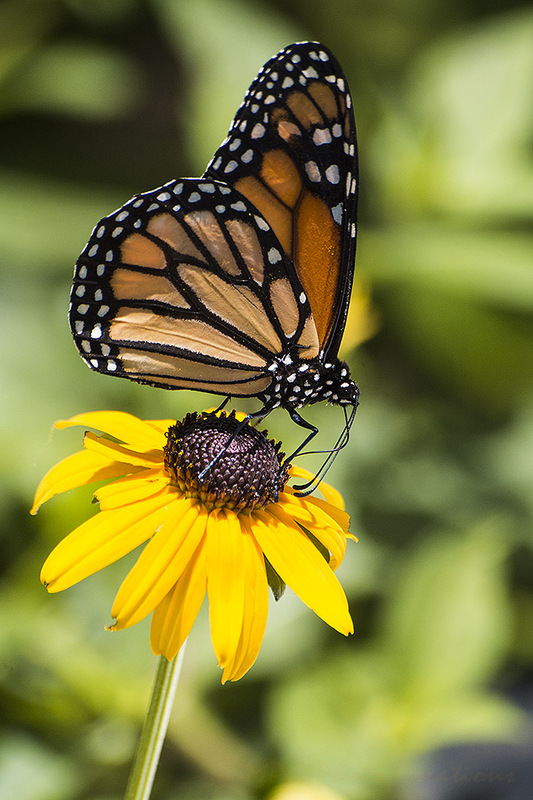 This is a Monarch I captured on a Black-eyed Susan bloom.